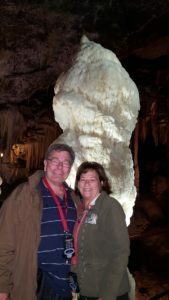 This was our ninth trip with Overseas Adventure Travel (two couples on the tour have taken 20+ tours with OAT and one was taking 9 back-to-back tours). I share that because if our are reading this web page considering a first trip with OAT OR GRAND CIRCLE, I’d say those are pretty powerful testimonials. My comments on this trip continue below. 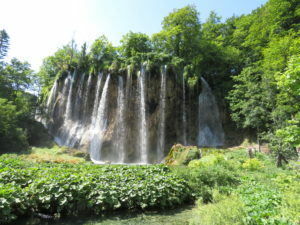 If you are considering the Crossroads of the Adriatic (Croatia) Tour with Overseas Adventure Travel (OAT), feel free to take advantage of this special savings. When making your reservation, simply say you were referred by Jesse Slome (Customer Number 932019) and they will deduct $100 off the lowest available price. This works just one time on your first trip. No catch and it’s just for your first trip. Overall, this was a good tour. Here are the things I liked best. First Croatia has a real beauty to it (several of us commented that it’s much prettier than Italy … and I agree). Second, if you want a trip that’s more than “just sightseeing” the days spent in Bosnia were fascinating. The home hosted dinner, visiting with a family who lived during the 4 year siege (on the 11th floor when there was no electricity) makes you appreciate not just the world — but your life. With the exception of Dubrovnik, we really never saw many tourists (and rarely another American). So, you still feel like you are among the locals (not just one of the throng). Finally, there were some real gems in terms of natural beauty. The Plitvice lakes in Croatia and the Postojna cave in Slovenia. The first is a series of crystal lakes (okay ponds) and dozens of waterfalls. One feeds into the other as you walk over footpaths and bridges that cross flowing water and waterfalls. I’ve visited caves in the U.S. (including Mammoth Caves). This one was stunning and large (unexpectedly so). You start with a 10 minute train ride just to reach the most scenic areas. Just one of the many pleasant treats on this tour. Bottom line: This was not my favorite OAT tour but definitely interesting. You’ll see places you’re not likely to visit again. And that makes it worth doing. I always like to add a few little tips for those who’ve taken the time to read this. Coffee is Croatia is disappointing. But all the hotels will make you a cappuccino if you ask the wait staff. Well worth doing. Try these candies. 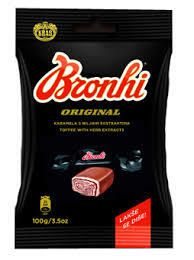 Our guide (Bruna) introduced the group to these candies. They are like caramels but the inside will open your airways. You’ll enjoy (at least I did). 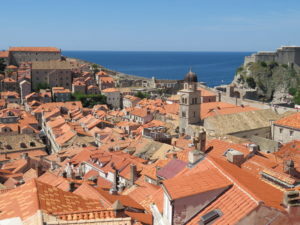 Avoid the temptation to add days in Dubrovnik prior to the trip. We did (despite reading lots of posts that said one day was enough). The amount of time spent by the tour was enough. 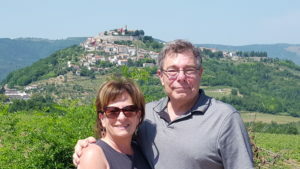 The first optional trip offered to Motovun was well worth doing and an outstanding value. The optional to Lake Bled was nice (less of a real value) but there’s nothing else to do … so do it. If you’d like to contact me with questions (or just to let me know you are booking a trip using me as a Referral … thank you) you can Email me at jslome @ aaltci dot org (or simply click this link).